Mia Cooper studied at the Royal Northern College of Music with Yossi Zivoni and has been involved in a wide variety of music making in the ten years since. She was principal first violin of the Royal Philharmonic Orchestra for five years, and has played and recorded regularly too with London’s chamber orchestras and ensembles, including the Fibonacci Sequence, Barbican Trio, Brodsky Quartet, Chamber Orchestra of Europe and the Academy of St Martin-in-the-Fields. Mia has been a guest leader of the CBSO, and BBC National Orchestra of Wales and, before moving to Dublin, spent three summers leading the St Endellion Orchestra. Mia participates in chamber music festivals across Europe, and also in Mumbai. She has also performed a music project of A Midsummer Night’s Dream in Lithuania where both rôles and music were performed by seven musicians (in Lithuanian). 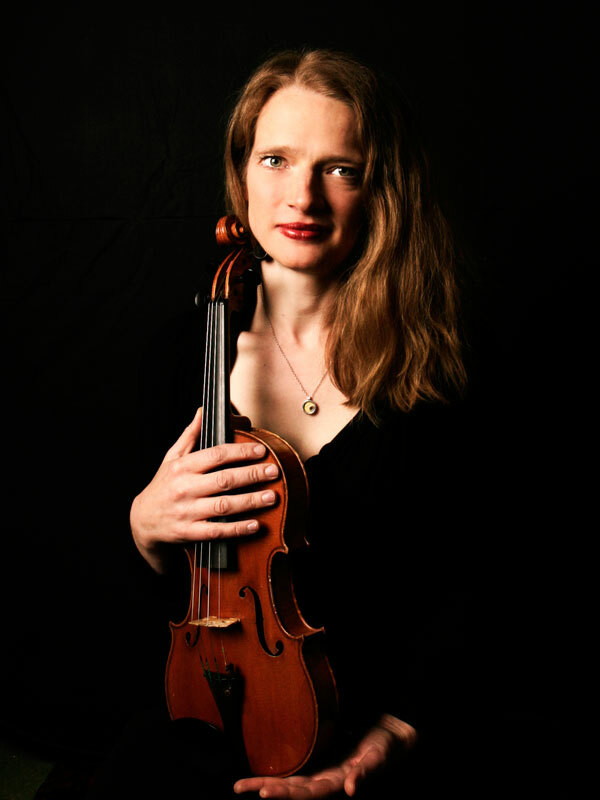 As a soloist, Mia has performed much of the Baroque solo violin repertoire with the New London Soloists Orchestra, and has played as a soloist with the RTÉ Concert Orchestra. She has recorded a wide variety of chamber music, including works by Nicola Lefanu (Goldberg Ensemble, Naxos 8.557389), Bartók (Duos, with Yossi Zivoni) and Stanford (clarinet quintets with Rob Plane and the Gould Piano Trio).